It's hard for me to believe, but my tenth season of attendance at WWDMAGIC trade shows has come and gone. 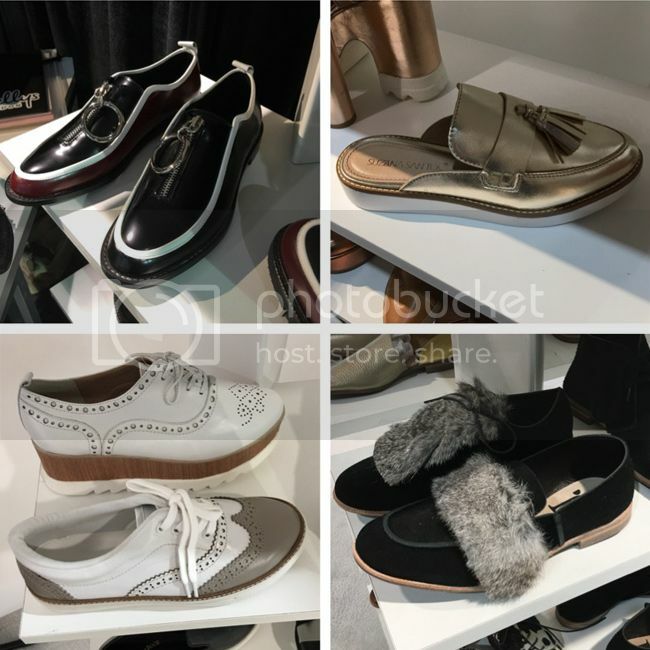 One of the most enjoyable aspects of going to the trade shows is browsing the new collections of footwear brands at FN Platform. With over 1,600 brands exhibiting in 200,000 square feet of trade show space, there's endless inspiration and a wide array of brands to discover. 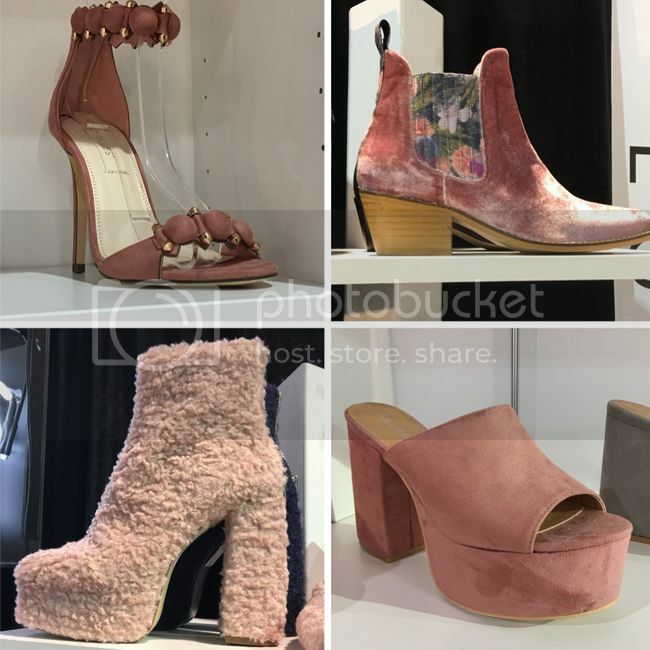 Highlights include meeting with ultra chic Brazilian brands Vicenza, Schutz, Suzana Santos, Guilhermina, and Carrano, as well as visits to the on-trend Shellys London, Public Desire, and Guilty Soles booths. This season, I'm sharing the top footwear trends for spring and fall 2017. After reviewing all my photos, I've narrowed it down to seven key themes for Women and Juniors. Let's dive right in, shall we? 1. Embroidered embellishments. 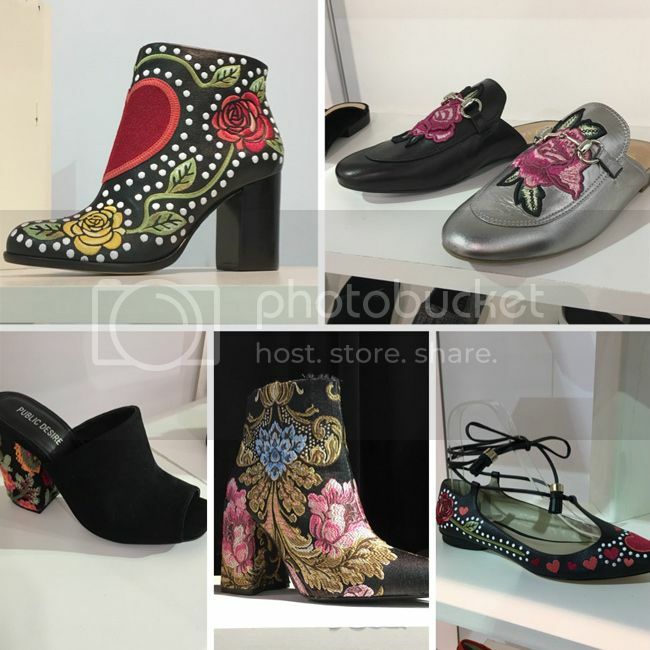 Taking their cute from the runways of Gucci, Alexander McQueen, and Valentino, embroidered shoe were everywhere I looked. Minimalism is no more. The more details, the better. Notable embroidered styles featured roses, tapestry florals, and strong use of red or pink. Clockwise, from top left: Guilhermina, Vicenza, Guilhermina, Shellys London, and Public Desire. 2. Athluxury. With activewear still going strong, comfort and cuteness add edge to sneaker styles that go beyond the gym. 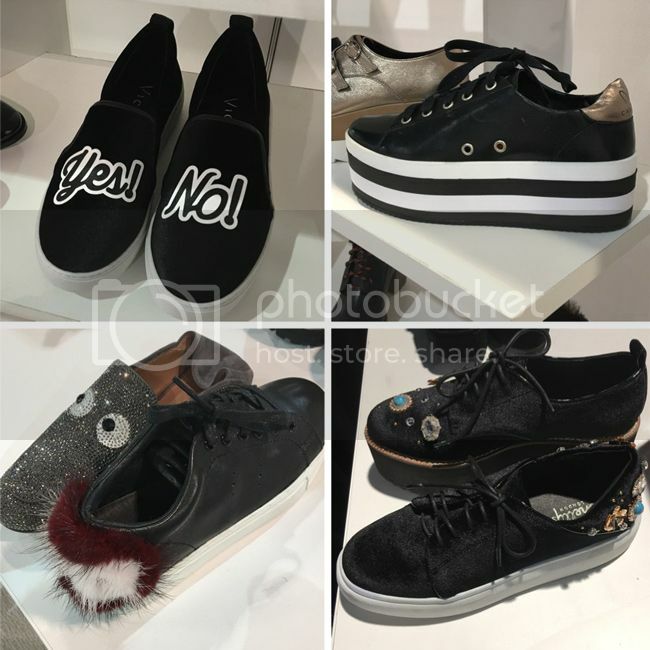 Think emojis, striped flatform soles, furry details, and 3-D embellishments for injecting new life and luxury into black slip-on and lace-up styles. Clockwise, from top left: Vicenza, Carrano, Shellys London, and Lola Cruz. 3. Pretty in Pink. If there's one must-have color update for spring 2017 footwear, it's pink. From blush pink to soft, dusty rose, it's time to rethink the color pink. Whether in faux fur, velvet, or suede, it's a muted hue that pairs well with neutrals, especially rose beige, dove grey, or chocolate. Clockwise, from top left: Guilty Soles, Shellys London, Public Desire, Shellys London. 4. Femme Flourishes. With an assortment of feminine details such as pearls, crystals, bows, and ribbons, footwear takes on a softer side. No more studs and tough vibes here; this trend is all about soft visual and textural interest. Clockwise, from top left: Guilty Soles, Schutz, Schutz, Guilhermina, and Schutz. 5. Best on the Block. If there's one style to snag for fall 2017, it's the block-heeled ankle boot. 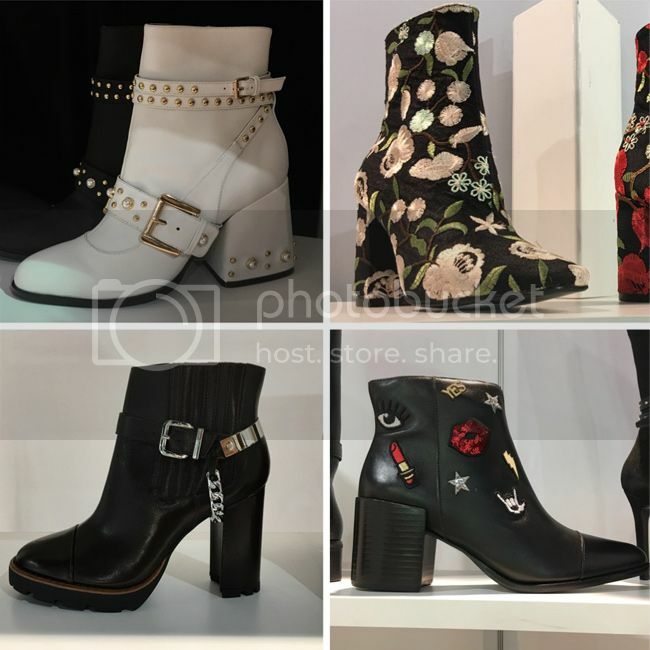 I spotted them in almost every booth, ranging from the retro and embellished styles to the lug sole and more '90s-influenced versions. Clockwise, from top left: Shellys London, Public Desire (the Cleo boot), Cristófoli, Carrano. 6. Menswear Moment. Loafers, brogues, and oxfords continue to carry over from previous seasons. This time around, they come in piped, metallic, perforated, and fur-accented versions. Clockwise, from top left: Shellys London, Suzana Santos, Lola Cruz, Raphaella Booz. 7. The Plush Life. The pom pom sneaker from recent seasons has evolved into a more polished way to wear plush textures on footwear, including velvet. 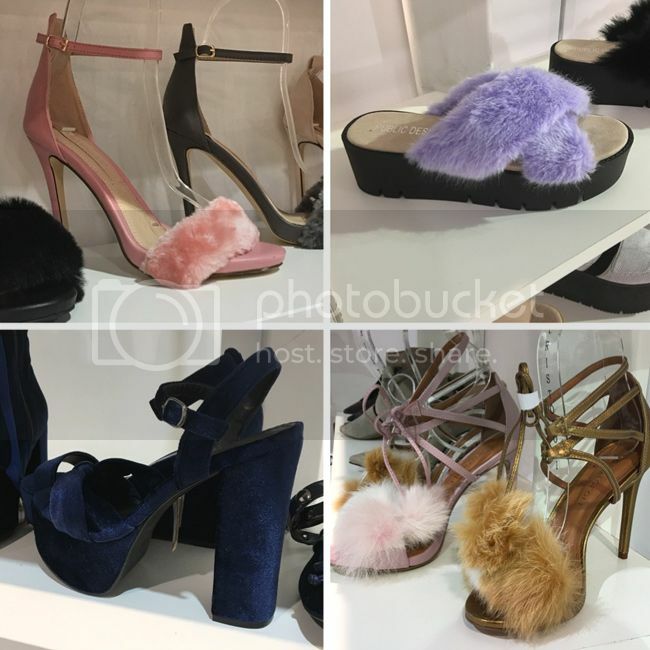 I spotted faux fur heels, platforms, boots, and too many velvet shoes to count. The trend works well in both spring and fall, and comes in a wide variety of color options, including ever-popular pastels and jewel tones. 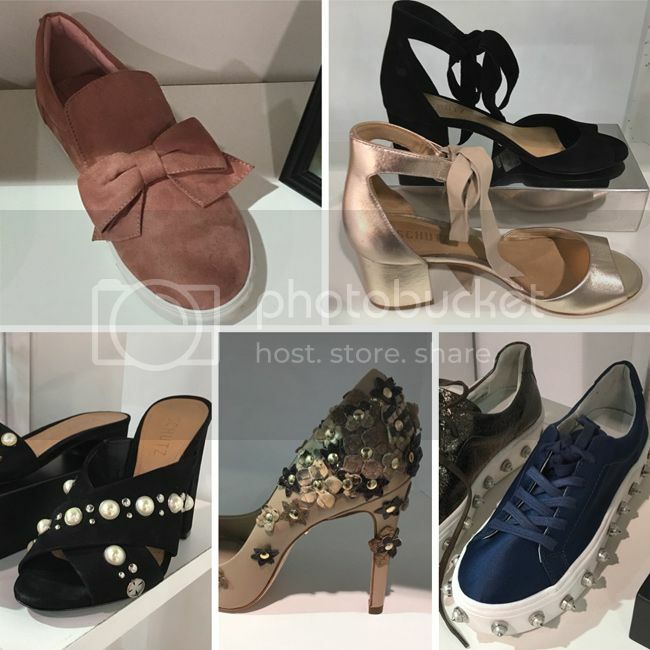 Clockwise, from top left: Guilty Soles, Public Desire, Cristófoli, Suzana Santos. For more trend direction, shopping stories on Instagram, and exclusive trend previews, keep up with me on social media @thekeytochic. See more 2017 shoe trends in my August report on Fashion Trend Guide.